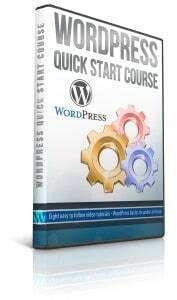 The WordPress system is upgraded fairly regularly. That’s a good thing, for a number of reasons. In addition to providing new features, upgrades address critical security issues and patch annoying bugs. However, the only way to benefit from WordPress upgrades is to actually install them. Many hosting services even offer a simple one-click upgrade. If that’s the case, then there’s almost no reason why you should delay in upgrading when a new release is available. Manual upgrades are also fairly easy (remember, WordPress is the blogging system that takes only five minutes to install). This video demonstrates the manual upgrade process and discusses some of the precautions you’ll want to take before you perform an upgrade. Before you update, be sure to backup your site. When you talk about self-hosting… does that mean those of us with our site on our own in-house webserver?… or does this apply to anyone that is not hosted at WordPress.com? Kirk, if you do an automatic update to WordPress, do you have to do the database backup first? Linda, you won’t be able to do a backup before because you can’t control when the update is performed. Your best best is to setup an automated backup system that runs daily. Take a look the BackupBuddy video for an example of how to do that. Thanks, Kirk. I had made a manual backup of our database when I updated WordPress to 3.6 – the only time I updated it – following the directions on the WordPress site. It worked, but was fairly tricky (for me at least). After going through your updating lesson, I’d thought maybe clicking “automatic” would mean I could update now and WordPress would do any needed backup as part of the process. I’ll check out the BackupBuddy video to automate backups on a daily basis. Our shared hosting service does site backups regularly, but holds them in memory for only a week. I am sure getting a lot out of your information-packed tutorials and, for that, I thank you, too! Unfortunately WordPress doesn’t do any sort of backup before an update. Partially that’s because there are quite a few pieces to a complete WordPress backup (the database, your theme files, your plugin files, your upload directory). The most common problem I see when something goes wrong is that users don’t have a complete backup, and so they aren’t able to fully restore all site content and functionality. It’s good that your web host does regular backups, but that’s not something I would rely on for a business website. If your site is important you really need to take responsibility for your own backups. That’s the only way you’ll be able to ensure that you can restore everything when the time comes. I explain this in a lot more detail there. Kirk, how do you do it? Not only teach but respond – quickly, patiently and always helpfully. Thank you. I will check the disaster video for more detail and appreciate the link to it. As an aside, I was really impressed with the iThemes web site and the BackupBuddy video. It does sound like an excellent way to get a lot of peace of mind for not too much expense. Was told that when we update Word Press, sometimes our themes/templates and configuration/layout will be messed up. A WordPress update shouldn’t break your theme or layout. However older plugins that are no longer maintained might be broken. Updating *themes* may very well break your layout. Especially if you’ve made theme customizations without creating a child theme first. If you use a child theme for your customizations, then you should be fine.